Based in Denver, Colorado, Inception Concepts specializes in voice implementation (VoIP) projects of varying size. Their clients mainly operate in the insurance, healthcare, retail, and hospitality industries. Large system VoIP implementations are primarily deployed at ski resorts, including Winter Park Resort in Colorado. Winter Park Resort is a skier’s paradise. The property includes 3081 skiable acres and 166 trails in seven different terrain parks. The base of the resort sits at 9000 feet, climbs another 3000 feet, and peaks at 12,060 feet. Twenty-five ski lifts sweep skiers up the mountain, and staff members are stationed in lift shacks up top to make sure things run smoothly. And though snow-covered landscapes look beautiful and idyllic, it is no secret that skiing, snowboarding, and exposure to cold temperatures can be very dangerous. It is essential that all staff members have constant, reliable communications with other staffers and emergency personnel – for the safety of both guests and the resort employees themselves. Winter Park’s existing analog phones were problematic, primarily because of the copper-based lines that ran from the ski lift shacks down the mountain – for miles down the mountain. Not only is it expensive to install such long runs of copper, copper is also prone to accidental cuts during construction and terrain work during the off-season. Severed lines interrupt communications and stall construction while they are re-spliced, costing the resort both time and money. 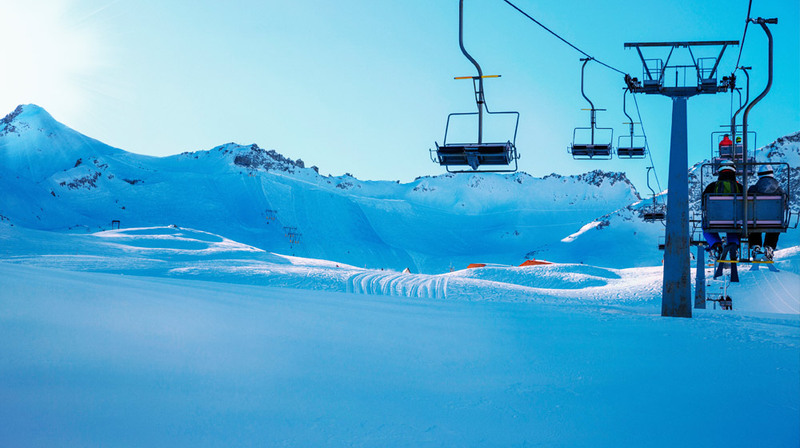 The resort management wanted to go with more IP on the resort as a whole, but did not have the infrastructure in many of the lift locations to make it happen. The Inception Concepts team wanted to provide the best possible option for their client, and brainstormed one day over lunch. They knew they needed a wireless solution, and when the light bulb lit up over Brian Thomas’ head, that light shone on EnGenius – a trusted business partner. The DuraFon-SIP was made for challenging deployments like Winter Park Resort. The ruggedized handsets can withstand rough handling and extreme temperatures, while the base supports ten handsets, ten SIP accounts, and four concurrent calls. With a range of 3000 acres, DuraFon-SIP literally has Winter Park covered. The DuraFon-SIP deployment at Winter Park Resort included five bases and fourteen handsets. Inception Concepts also installed four external antennas; one indoors, and the other three were installed outdoors. The base stations reside “down the mountain” while the handsets go up with employees. Installation of the phone systems was “…very easy. The installation guides were easy to follow, and the (RSSI) tool for determining signal strength was easy to use,” said Mr. Thomas. He and his team were very pleased with the solution since you don’t have to run copper to all the bases. “You don’t even have to have power or IP networking available to all the locations to make it work,” he explained. The DuraFon-SIP is an unqualified success at Winter Park Resort. Though the deployment of the initial product was only recently completed, the resort has already opted to add a couple of locations to their site plan “ because of the coverage and the good experience they’ve had so far,” stated Brian Thomas. The resort saves on the repair of existing equipment and the purchase of inefficient new copper and analog. Improved safety for guest and employees is another obvious plus. As for Inception Concepts, they “definitely recommend” the DuraFon-SIP, and the value of the product extends far beyond this particular client. Though this is the first ski resort they have installed the DuraFon-SIP at, it probably won’t be the last. DuraFon-SIP is providing a unique business solution and another potential revenue stream. “We’re considering going back and talking to the other resorts about it now, mentioning that we had a really good experience using the product and that it’s something we could look at doing (with them),” said Brian Thomas. He continued, “(DuraFon-SIP) is providing a solution that nobody else has. It has a capability that none of the existing systems that we use can provide. It helps give a full complement of solutions to our customers.” Forget copper, that ability is truly worth its weight in gold. Go for the gold! Learn more about DuraFon-SIP and how it can boost your business today!